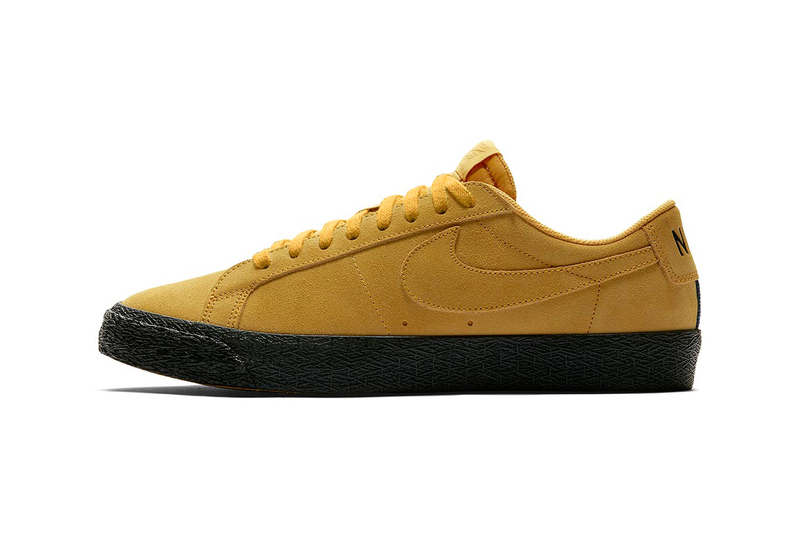 Nike Releases SB Blazer Zoom Low in "Yellow Ochre"
The Nike SB Blazer Zoom Low is not only beloved by skateboarding enthusiasts, but fans who find the low-top pair as a comfortable everyday shoe. The Swoosh recently unveiled a new Fall 2018 iteration in “Yellow Ochre.” Completing the design are all-black soles and matching Nike branding on the heel caps. View the shoe above and purchase a pair now on Nike’s online shop for $75 USD. In other footwear stories, Nike recently debuted a multicolored Mamba Rage lineup. Nike's Lunar Force 1 Duckboot Low Gears Up in "Desert Ochre"